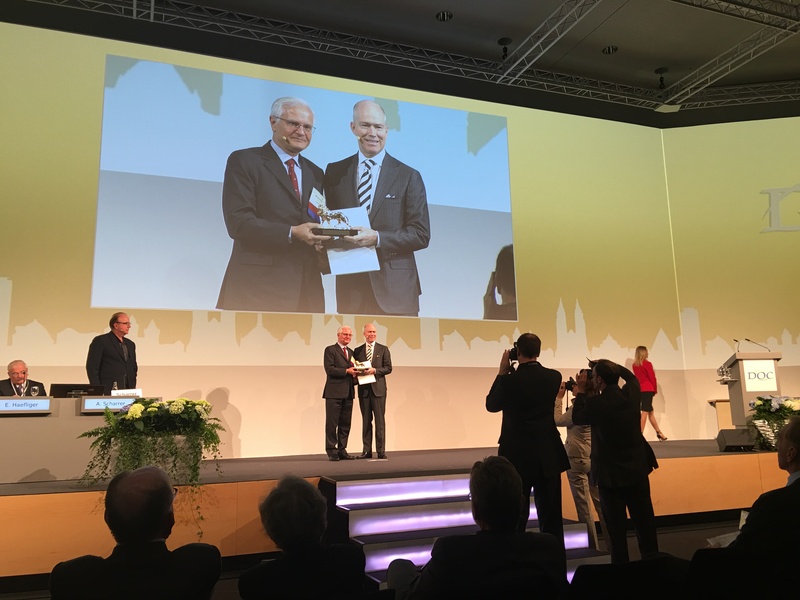 Last week Dr. Maloney was honored for his contributions to the field of eye surgery by the International Congress of German Ophthalmic Surgeons. He was invited among world-renowned experts to present the 29th annual Ridley Lecture in Nuremberg, Germany. The Ridley Lecture is given each year by a distinguished eye surgeon to discuss innovation in the field. Here he is accepting a (very heavy) gold lion statuette after discussing the latest breakthroughs in advanced lens cataract surgery.